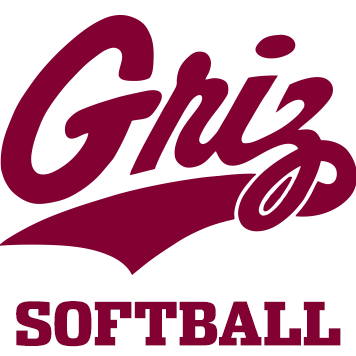 The Montana softball team used seven extra-base hits in Game 1 and a nine-run inning to erase a five-run deficit in Game 2 to open its three-game series against Portland State with a pair of wins on Saturday afternoon at Grizzly Softball Field, 9-1 and 11-7. Montana set a program record with four home runs in the opener, two coming off the red-hot bat of Cami Sellers, whose hitting streak is now up to a dozen games, and one each from Maygen McGrath and Lexi Knauss, whose three-run blast to center in the bottom of the sixth ended the game. The Grizzlies (13-26, 3-5 in the Big Sky) faced a 7-2 deficit in the second game as the teams headed to the bottom of the sixth. Montana had just three hits to that point off Portland State starter Serafine Parrish. The rally started innocently enough: an infield single off the pitcher’s glove by a pinch-hitting Morgan Johnson. By the time the inning was over, the Grizzlies had scored nine runs on nine hits off three Portland State pitchers. It was the second-highest-scoring inning in program history and the comeback matched the third-largest deficit ever overcome in a victory. The Grizzlies’ 11 runs in Game 2 were the most they’ve scored this season. The nine runs in Game 1 is the third-highest total this season. “We went back to a lot of basic stuff this week and really tried to simplify some things,” said coach Melanie Meuchel, whose team lost twice at Sacramento State last weekend in back-to-back 10-inning games. For all the offensive fireworks provided by Montana’s bats, it’s easy to overlook the pitching performance of Colleen Driscoll in the opener. Facing a team that entered the day with a healthy .290 batting average and had scored 14 runs in two of its previous three games, Driscoll did what Driscoll does. She gave the Vikings (13-23, 2-5 BSC) plenty to swing at but not much to make solid contact with. She only struck out one in working her third complete game of the season, but she didn’t walk anyone and allowed just six hits, five of which were singles. “Colleen is always going to attack the zone, and we’ve tried to add a few things to what she does that I think will help her be even more effective as we move forward,” said Meuchel. After Lexi Knauss drew a walk to lead off the bottom of the first, Sellers followed with a shot to center for a home run that made it 2-0 off PSU starter Alyssa Burk. It was one of the hardest-hit balls ever to leave a bat in the brief history of Grizzly Softball Field. And it set the tone for the day. McGrath led off the fourth with a towering home run to left-center, her team-leading fourth of the season and first since Feb. 24. Sellers led off the fifth by launching one over the fence in right to make it 5-1 and match McGrath for the team lead in home runs. Any momentum from that victory didn’t carry over to Game 2. Portland State struck in the top of the first with a run on three hits, and the Grizzlies went down in order in the first and second innings against Parrish. The Grizzlies grabbed a brief 2-1 lead in the third on a two-out single to center by Sellers that extended her hitting streak to a dozen games, tied for the fourth-longest in program history, but the advantage wouldn’t last. Portland State scored one in the fourth, three in the fifth and two more in the sixth off starter Tristin Achenbach and reliever Maddy Stensby to take a 7-2 lead into the bottom of the sixth. Montana opened the sixth with four consecutive hits, more than they had through the first five innings, and scored seven of their nine runs with two outs, after a pair of big-time plays by Portland State’s infield with the bases loaded forced out two Grizzlies at the plate.